Netflix (NFLX) remains on a path to generate record subscriber additions for the year which should send the stock back to previous highs. As the year progresses, the free cash flow burn will become a huge problem as new streaming competition from Disney (DIS) and WarnerMedia (T) comes online. For Q4, the company reports 1.50M domestic streaming additions vs. 1.77M consensus and in line with guidance. International streaming additions were up 7.30M during the quarter vs. 7.23M consensus and guidance for 6.1M. Guidance for Q1 EPS of $0.56 vs. $0.86 consensus. The guidance appears weak, but Netflix typically smashes estimates. What will matter as the year progresses is the incredible $1.3 billion in cash burned in Q4 and $3 billion for the year. 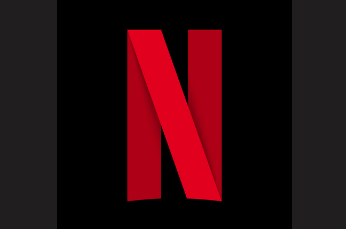 Netflix forecasts another year of burning at least $3 billion in cash as the company aggressively spends on content in hopes of recouping subscription fees in the future. Netflix now has long-term debt of $10.4 billion and one should look for this number to rise in 2019. The prediction remains that the stock rallies to previous highs around $420 before the streaming wars hit in the 2H of the year. The battle for content will continue raise production costs while Netflix is already burning billions each year. Interesting comment from analyst Gene Munster on CNBC that production costs for content is going to double. The comment generally jives with my thesis that Netflix is going to find itself in the this negative cash flow situation with costs spiraling higher. The company really needs to enter this period with positive cash flows and a strong balance sheet.